In honor of Fair Use Week, a blog each day to help you learn more about fair use!The following is an excerpt from “Copyright: What We Don’t Know Does Hurt Us,” originally published in The Copyright & New Media Law Newsletter 18:3 (2014). For those of us who teach copyright law and regularly advise both creators and users of protectable content, it comes as no surprise to hear that confusion and misunderstanding about copyright are quite common and that the resulting fear of making mistakes in interpreting the law leads to overly conservative applications of the law. This probably does not surprise most of you readers, either. What might come as a surprise, however, is both how widespread the confusion is within professions dependent on copyright law, and, most importantly, how momentous and deeply harmful the effects of that misunderstanding – and the resulting fear and risk-avoidance behavior – are. The Center for Media & Social Impact (“CMSI”) at American University (formerly the Center for Social Media) has sponsored studies of several different industries that rely on copyright law, with surprisingly consistent findings. Among both users and creators of protected works across disciplines and professions, copyright law, particularly fair use, is widely misunderstood. The result is an appalling undermining of the Constitutional, social, and policy purposes of U.S. copyright law: To benefit society by furthering the creation of new works. Copyright law was never meant to inhibit scholarship, research, social or political commentary, or teaching, and certainly not the creation of new works; it was always intended to do the exact opposite, to nourish these activities. And yet, these studies find that inhibition of them – dramatic inhibition – is exactly what is happening. Perhaps worst of all, it is happening because of what the studies so accurately label self-censorship. Misunderstanding and confusion over copyright law create fear on the part of both users and creators (who are themselves users) of works, who in turn censor their own contributions to the progress of science and the useful arts, thereby disrupting the balance in copyright law intended by the Founders. Without that balance, these studies demonstrate, the purpose of copyright law is severely undermined. Much of CMSI’s work and educational activities focus on fair use. In the studies discussed here, researchers surveyed professions that play widely differing roles in influencing the social impact of media. The professions vary greatly and include visual artists, art gallery owners, and curators; librarians at all levels; K-12 teachers, university professors, educational media producers, and education administrators; “traditional” journalists, “citizen” journalists, and bloggers; and communications scholars. Two common factors across these professions are (1) the integral role played by copyright law in the ability of professionals to perform their work; and (2) the professionals’ dependence on fair use. The CMSI studies brought to light another common factor: The prevalence of misinformation and misunderstanding, lack of knowledge, and confusion over copyright law among professionals, despite their professions’ reliance on the law and their own realization of that reliance. Subjects displayed a wide range of confidence in their own knowledge of copyright law and in their ability to apply fair use. Nonetheless, subjects consistently demonstrated a lack of knowledge and a plethora of misunderstanding about fair use, often conflating fair use with: other aspects of copyright law; non-legal issues like plagiarism; and non-authoritative interpretations of the law, such as guidelines. 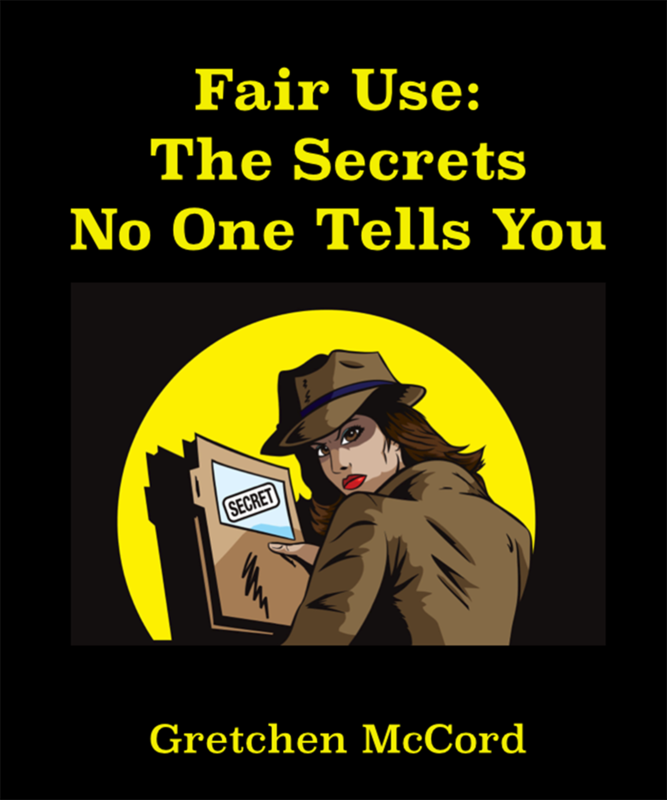 The vast majority of subjects in all studies understood fair use to be much more restrictive than it actually is, often based on the above-mentioned conflation with other issues. All studies found an exaggerated assessment of risk and excessive (unrealistic) fear of litigation. The perpetuation of misinformation was systemic, both among the professionals and in interactions between teachers and students or supervisors and subordinates. Unnecessarily conservative, risk-averse policies and procedures, at both individual and institutional levels, often resulted in obvious undermining of the mission of the profession and/or the institution (and often with the awareness of the individual subjects). Work was significantly inhibited by the refusal of risk-averse publishers to publish anything containing third-party material unless permission from the copyright owner had been obtained. Subjects in several studies pointed to copyright owners (mis-)using copyright law to censor the creation or distribution of works critical of them. Projects (including creating art, conducting research projects, providing critical commentary, engaging digital media in student assignments, and providing access to library materials) are consistently abandoned, reduced in scope, or never begun in the first place. The level of support, assistance, and even responsiveness received from general counsel, administration, and supervisors ranged greatly among subjects. All professions experienced high costs due to copyright confusion, both monetarily (such as paying unnecessary licensing fees) and in staff time. These studies send a simple message loud and clear: For both creators and users, confusion, misunderstanding, and fear over copyright law result in choices that are significantly more conservative than necessary, with the ultimate consequence of inhibiting the fulfillment both of institutional or professional missions and the constitutional purpose of copyright law, both to the great detriment of our culture and our society.